Sergio Agüero falling; Danny Simpson still on his feet. Relevant in 2016, relevant in 2017. …Leicester City are the only English team through to the Champions League quarterfinal. On Tuesday, Claudio Ranieri must’ve been contemplating how hard the managerial jobs can be. It was him, who taught Foxes how to play their best cards; it was him, who refined that team’s resilience and simplistic tactics to make them a threat to every other team out there. If there’s a person in the world that taught the reigning Premier League champions how to win games like the Sevilla rematch – it was him. After a textbook Ranieriesque performance, his beloved lads have overcome the simply terrible Spanish side. Which would’ve been fine: if it was for the fact that they’ve completely betrayed the man who brought them this far. When Kasper Schmeichel (only four Premier League clean sheets in 19 appearances this season) parried yet another Sevilla’s penalty – I knew that nothing bad could happen to Foxes anymore. When earlier on, Riyad Mahrez (5 assists this season; last year, he’s reached that mark in November) set up a goal by Wes Morgan (only 52 EPL interceptions in 27 games this season – a year ago, it was 95 in 38 matches) – I was even more convinced. Dropping below 30 percent in possession and managing to take 2 more shots than the rivals anyway, Leicester have come back to their counterattacking roots – and the roots worked yet again. Still: you can only beat what’s being put in front of you. Foxes used 99% of their ability and 110% of their luck to do so. “We know there will be some terrific teams in the last eight, as there were in the previous round, but we’re in there on merit – we might just be the surprise team.” – said Craig Shakespeare, the-now full-time caretaker at King’s Power Stadium. His lads are now at 33/1 to win the Champions League: two-times less than Monaco and three times less than Dortmund. The club in blue shirts, digging deep in UCL and having a temporary head coach in charge… Doesn’t that sound familiar? Sure: five years ago, this was Roberto Di Matteo’s Chelsea – the last English Champions League winner so far. Leicester are walking a familiar path: but they’re forced to do that alone. A day later after their triumph, the strongest Manchester City side Pep could field have answered the eternal question: can you buy the success. The answer might still be a resounding YES – but it turns out that the cost of it in football far exceeds the payment one has to make in about any other area of human activity. Transfer fees aside – At Stade Louis II, we’ve once again witnessed a defensive formation that makes roughly £0.4 million per week (not counting the commercial bonuses). 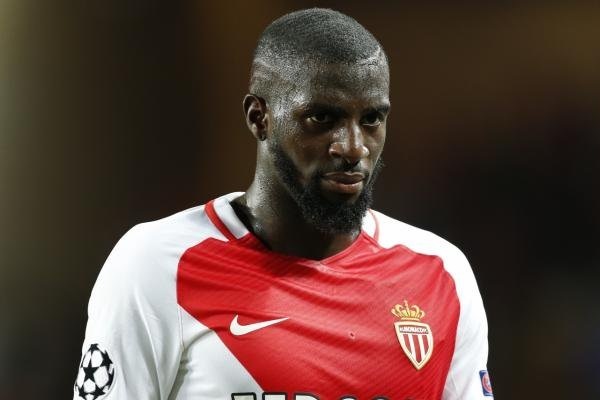 To put it into perspective: Monaco’s Man of the Hour, Tiemoué Bakayoko earns roughly half of the wage of the second-worst paid City A-teamer, the veteran goalkeeper Willy Caballero. There is no chin behind Bakayoko’s beard. There is only another lung. Too bad (?) it didn’t matter. From the word ‘go’, Leonardo Jardim’s kids have pushed Pep Guardiola’s team right against the wall, bringing them on the brink of desperation with relentless, energetic attacks. Kylian Mbappé was on fire again, abusing Citizens’ inability to deal with raw pace all over again. Monaco’s wing-backs Mendy and Sidibé were turning the match into a mayhem, stretching the opposition’s thin, defensive lines and providing dozens of decent crosses. Bullied in their own half, the visitors had little time to collect their thoughts, let alone to come up with some answers. 0 (zero) shots in the first 60 minutes: that was their silver lining in this game. Where were MC’s leaders anyway? It’s the middle of the March and Kevin De Bruyne has published infinitely more photos of his newborn son than the number of his 2017 assists is – because the latter remains at zero. Yesterday, his first half was straight-up embarrassing: only six passes completed, along with one dribble, no shots and no chances created. He’d improve after the break and even contribute some defensive goods he’s been claiming to work on under Guardiola – but it was still a forgettable day for the Belgian. If he had flashes of quality: it was only because his other key teammate – David Silva – was even more anonymous. Monaco's press is devastating. The midfield is being suffocated. David Silva is out of the game. Monaco have David Silva on a tight leash. Just like Arsenal a while ago and Tottenham in the late 2016 – City have underestimated this Monaco side. Fielding only a single defensive midfielder was a mistake: Fernandinho, though far from being the worst player on the pitch, could not provide the necessary protection for the centre-backs by himself. Leroy Sané and Raheem Sterling, instead of doing the damage like they did in the first leg, were forced to chase the shadows in their own half. The German, having some terrific performances recently, has made the most of his touches in his own half! No wonder that the final third (Agüero had 1 shot on target and got dispossessed 5 times) has turned out to be as quiet as some of the home crowds during the matches at the Etihad. Foxes. Foxes alone. It is yet another own goal scored by the English, big-money franchises. Even with the poor season they’re having – the result is now 2-0 in favour of a humble, small-scale, family business from Leicester. And, judging from the state of Premier League clubs in Europe these days – it could take few seasons for Chelsea, Citizens or Red Devils to score an equalizer.